It is important that you sign up for Medicare Part B when you are first eligible. Not enrolling in Medicare when you are eligible may result in financial penalties and time delay for enrollment. The standard Part B premium is $135.50 per month in 2019 if your countable income is equal to or below $85,000 for an individual or $170,000 for a couple. Higher premiums are charged for incomes above these levels. The amount is determined by Social Security. **Exception: those eligible for paying under $135 due to Social Security “hold harmless” provision. The Part B annual deductible for 2019 is $185 and there is a 20% copayment for Medicare approved charges and services. Medicare pays 80% of the Medicare-approved amount. 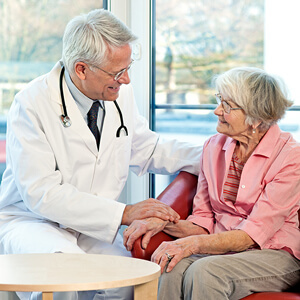 If a provider accepts assignment he/she agrees to accept the Medicare approved amount for services provided. Providers who do not accept assignment may charge 15% above the Medicare approved amount. This is called the Limiting Charge. Learn more about what Medicare Part B covers.